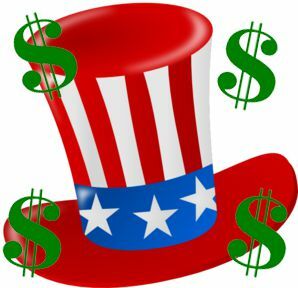 Have an Estate Plan to Prevent Uncle Sam From Collecting | The Ashmore Law Firm, P.C. Having the proper estate plan will prevent Uncle Sam from getting more than he deserves. The amount a person can pass on free from federal estate tax in 2015 is $5.43 million. So what does that mean? They are able to pass this money during their life or at their death. If that amount is exceeded, either that person or their heirs will owe a tax of up to 40%. Also, as of January 2015, the amount of money that can be given to any person each year that’s excluded from the gift tax is $14,000, per person per year. Now is the time to review your estate planning documents. Review your estate planning documents now. List all of your assets and their worth to determine your net worth and whether you are among the 60%. (Don’t forget to include your business interest, life insurance and any homes or property you own, no matter where it is located). Write down your goals and objectives as it relates to your assets. Consult with a qualified estate planning attorney to determine which estate planning vehicles would best suit your needs. Review and update, if necessary, your beneficiary designations.